335 km north of Broken Hill along the partly paved Silver City highway and 400 km west of Bourke (unpaved). Check the conditions after rain as roads may be closed. The park protects an enormous arid landscape of space and solitude. The rolling red-sand dunes of the Strzelecki desert ripple through the western section, graduating past surprising wetlands surrounded by white sands. Flat-topped mesas and fantastic views characterise the central Jump-Up country. 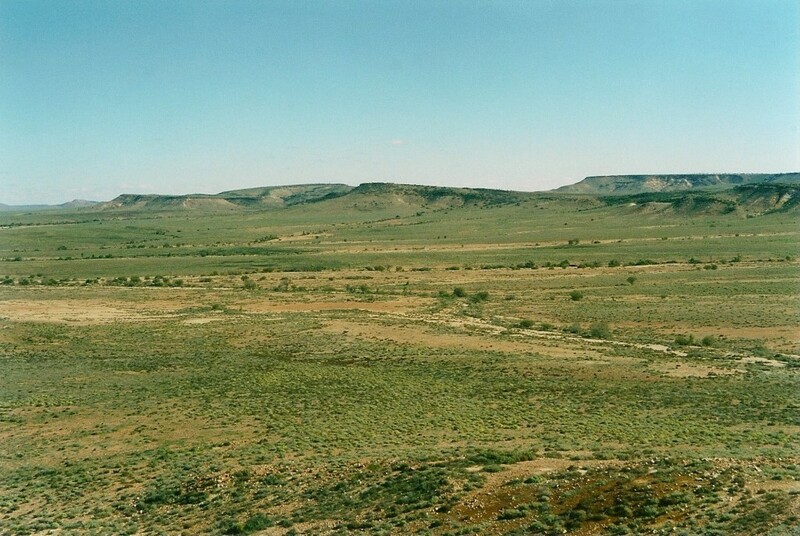 Remnant gidgee woodland, the catchment system of the ephemeral Twelve-Mile Creek and gibber and grass-covered plains dominate the east, while 450 million year old granite tors surrounding Tibooburra form part of the southern boundary of the park. Enjoy the self-guided loop drives accessible by 2WD or go 4WD trekking along the Middle Road, passing through uniquely diverse landscape with lookouts along the way providing magnificent views. Explore the walks at Fort Grey, Olive Downs, Dead Horse Gully and to the Mt Wood summit — most are easy to moderate and allow for a short loop walk of 1 to 3 hours. Bring your own drinking water and please respect the ‘no wood-fire’ policy. The best time to visit is between April and October. The temperature sizzles to well above 40° C in summer, but winter nights can drop to below zero!